The image below was posted on alt.binaries.pictures.tall-ships by Paul Bowery. He put a quote from Vivian Stanshall in his sig block, which I have used as the title of this piece. The picture seems to me to capture what is going wrong in our cities. The water is the only thing that is unchanged: probably a bit cleaner, since narrow boats all have chemical toilets and do not discharge raw sewage into the waterways the way they do here. The most obvious is the elevated motorway, casting a fearful gloom all around it, dominating the scene. 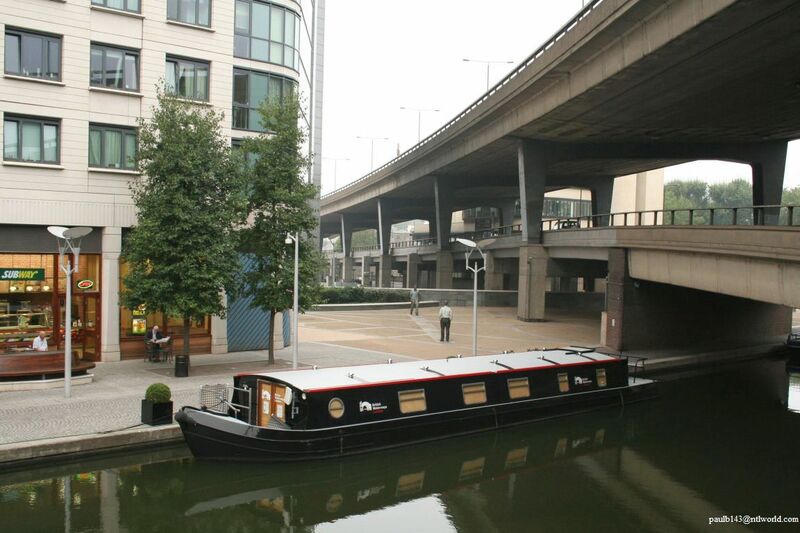 Canal sides used to feature small friendly pubs, catering to the people who worked on the boats. Many survive, now catering to the recreational users of the waterways. But what do we have here? The anonymous concrete and glass block which could be flats or offices. And the universal sandwich shop “Subway”. As fast food goes, not the most objectionable by any means. Fairly healthy actually, but the design is the same everywhere. And the Subway map is New York (of course). How much of this scene is English? 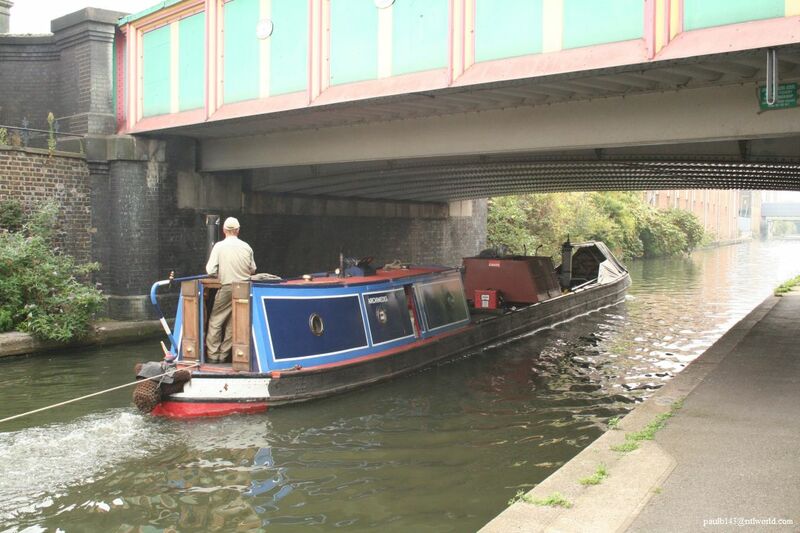 The narrow boat echoes the traditional design and the dimensions are dictated by the locks: 70 feet long by 7 feet wide . Others are more faithful to traditional colours and decorations. Fortunately only a small percentage of the miles of English canals look like this. I would recommend them for a holiday to anyone. Maximum speed 4mph, and mostly through English countryside – much of which is still unspoiled. You will not, of course, see any commercial traffic. The last narrow boats carrying freight operated from Brenford to Hemel Hempstead on the Grand Union Canal in the early 1970s. Below is one of the last survivors still in use, owned by British Waterways and used for maintenance. I spent several years trying to promote the use of inland waterways for freight traffic. The only new traffic I saw start was on the River Thames. As commercial shipping moved down river, and the docks closed, sea dredged aggregate began to brought in to meet the insatiable demands for ready mixed concrete. And domestic refuse, all neatly packed in ISO containers, from GLC transfer stations along the river bank to land reclamation sites on the Essex marshes.